Father's Day was a lot of fun this year. We went to Amelie's for a nice breakfast, played around at Discovery Place in Charlotte, ate an early dinner at Tupelo Honey (oh-my-yum! ), and then went to Studio Movie Grill at the Epicentre to see X-Men. Love this pic! Hayden's photo bomb makes me LOL every time I look at it. The way to my hubby's heart is gifts (and homemade cookies). He is like a little kid in that respect. 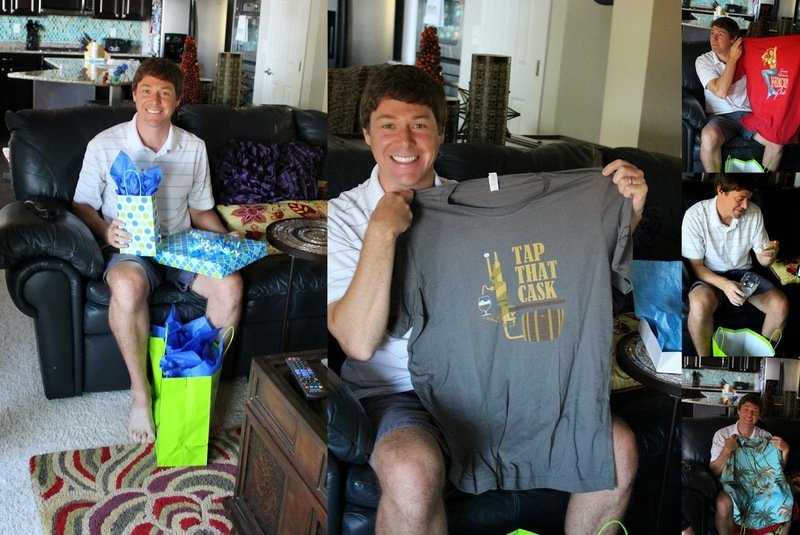 We gave him a couple of Tommy Bahama shirts (since he will never buy them for himself), beer soap (yes, you read that right, lol), a new beer glass, Aveda shampoo & conditioner, and a beer shirt.